Trattoria Farfalla in Los Feliz, California, is home to fine Italian fare with a fresh California-twist. It serves tantalizing dishes in its warm and cozy atmosphere. An antipasti dish such as the polenta e funghi corn cake topped with mushroom sauce makes for a great start to your meal. Trattoria Farfalla has baked and stuffed calzones, as well as pizza, like the unique “alla Brasiliana” topped with skirt steak strips and chimichurri sauce. Pasta dishes, such as the ravioli di rapini e patate stuffed with broccoli and potatoes with aged ricotta, are some of diners’ favorite meals. Trattoria Farfalla also has take-out and delivery options, so you can enjoy its incredible cuisine in the comfort of your own home. There are also gluten-free pizzas and pasta substitutions available. Terrine Di Melanzane "Alla Parmigiana"
Everything about this restaurant was incredible! The food was delicious, the service was amazing, the staff was so sweet, the ambience was perfect, we can’t say enough great things about this place! Wow! Highly recommend for a night out! Simply the BEST!! 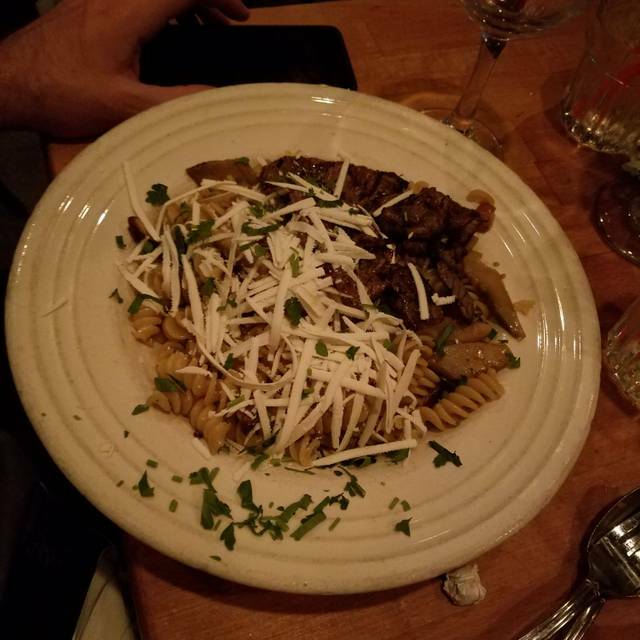 Great food, service, wine.. real Italian food that is consistently delicious. Food was excellent. Authentic Italian dishes. Dishes that lack of the flavor of classic Italian food, but lack the creativity of modern Italian food. Bland pasta cooked in under salted water, over cooked vegetables, and average service. LA doesn’t have great Italian food in general, but I won’t be returning here. Farfalla is a convenient neighborhood spot for me. The ambiance is quite enjoyable but I have found the service somewhat inconsistent between the two times that I've been. Otherwise, the food is solid. Farfalla is a neighborhood charm, always great food and service. You can't go wrong when you dine here. A little slow out of the gate with wait service, but not terrible. 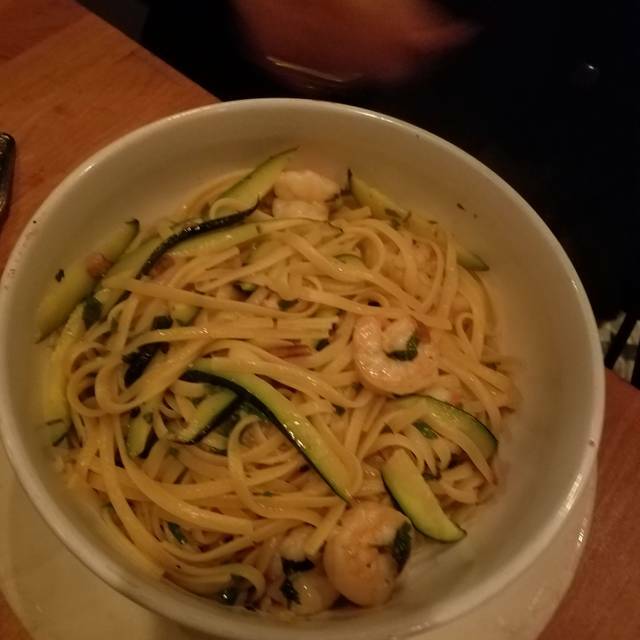 The pasta with smoked salmon was amazing, the gnocchi bolognese was fantastic, and my friends shrimp salad was great. A real neighborhood gem! Always an excellent place. Been coming for years and it never disappoints. A wonderful authentic Italian kitchen. I love that it offers a gluten free pasta option and a excellent pizza crust from there pizza menu! Excellent in all areas... and now they have introduced happy hour... my favorite Italian restaurant. Absolutely was impressed with our dishes! Service was exceptional and the ambiance is incredible, perfect for a date or any occasion. I think we found our place for Italian in the neighborhood. It was our first time at your restaurant. We we’re celebrating our 40th anniversary. It was fantastic. The service, the food - excellent! We are from Pennsylvania and the next time we are in town we will dine at Farfalla’s. Thank you for your gift of the dessert. Got there at 7:30, our reservation time, and after waiting in the front for 5 min with nobody asking me if I have a reservation or anything, I had to walk through the restaurant to ask a waiter who can I talk to about reservations? A few min later I go ask what looks like a host about my reservation, its 7:40 now, and he said give me a few min. Another 15 min later and still no sign of a table or anything. I don't understand the point of taking reservations if you cannot be seated in a timely manner. My wife and I stood in the front, which was extremely crowded and got pushed around a lot, for another 25 min and we had enough and left. So much for trying a new restaurant. 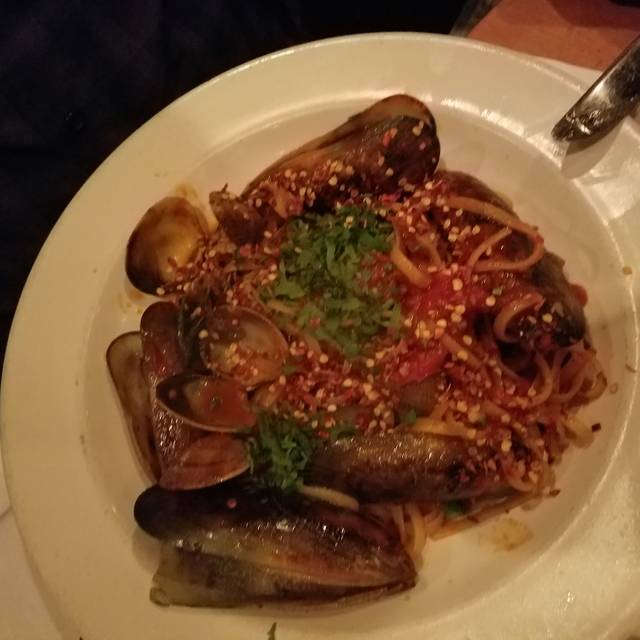 The best Italian food in town. Excellent service and very good prices. Farfalla is a cozy place with scrumptious and authentic food. I had a date there and, both my fiance and me loved Farfalla. I personally liked the variety of wines that Farfalla has to offer. Love this place. We’ve been coming here for years. The food is great and good quality. The value is amazing. Very nice ambiance. The food was fabulous as always! Had reservation at 7:30 but restaurant over crowded and not turning tables fast enough. Didn’t seat until after 8 after checking in multiple times. Had to wait outside in cold. Restaurant host made it slightly better by giving us a round of Prosecco. Neighbor Gem! Been going here for years and it never disappoints. Great wine list. Food was amazing as always! The flavors are so authentic. Wonderful longtime neighborhood favorite. Delicious food and warm service, just watch the parking meters! Use their shared lot if you can. First time here, recommended by friends. I look forward to going again! Excellent food, staff and environment. I recommend it to everyone! I also eat there as often as I can. I just love the place! Farfalla is always excellent. Great food and highly recommended. The food and atmosphere at this place are fine, but they do not honor reservations. I had made a reservation on Opentable and was made to wait 25 minutes to finally sit down, and that was only after we alerted the host to the fact that a table had opened up. Everyone else who we saw waiting had the same problem. It’s not worth going unless it’s a very slow night. Lovely place i will go back . 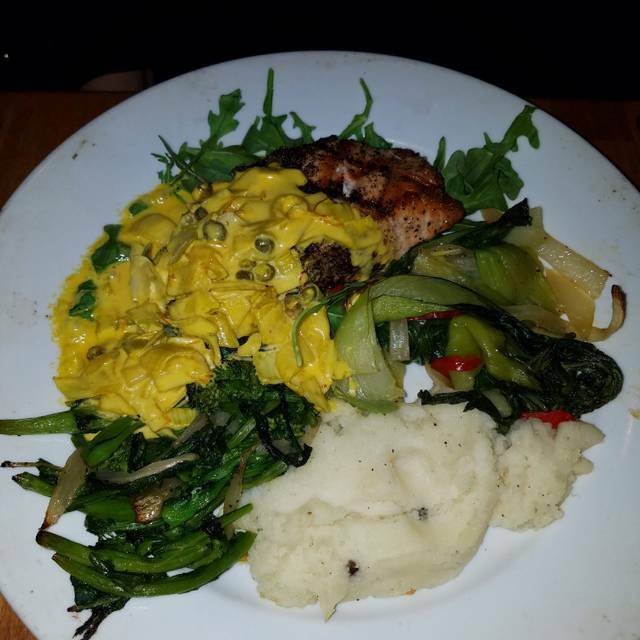 Everything was excellent server was very friendly made us recommendation and we loved it. 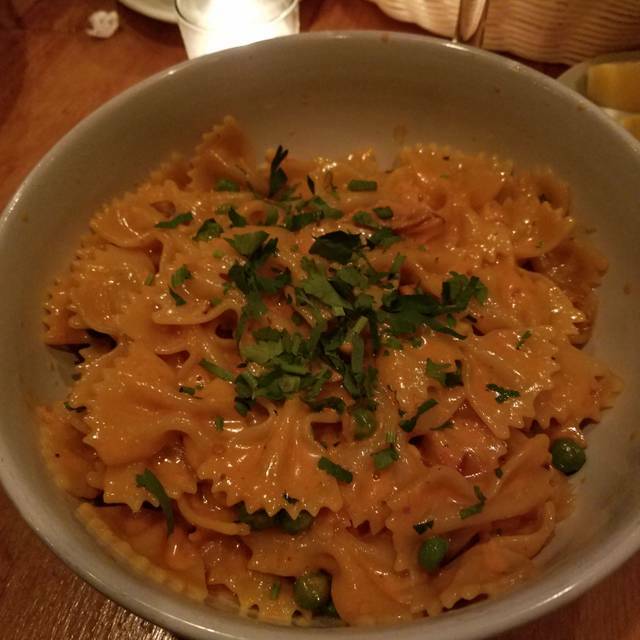 if they have ravioli's as one of the specials, don't think, just order it! We had a reservation for 6 and were seated as soon as we arrived. Orders were taken and salads arrived. After that it was all downhill. The rest of the food took over an hour and fifteen minutes to arrive. This was after nicely asking our server. We asked the manager for help. No explanation was given. Other customers who were seated after us were getting their food. I have been coming to this restaurant for years but it's been about a year and a half since my last visit. Sadly, this will be my last time. Excellent food & service. Wine is great, also. We were seated 40mins after our reservation due to poor preparation and management of reservations. The manager did his best to make up for the poor service by offering beverages while we waited. The food was subpar; very bland in flavor. Despite our hopes prior to dining, there was no desire nor interest to return or refer others to this restaurant due to the subpar dinning experience at such a high price. The vibe was great but food was terrible. Very disappointed as it was my brothers birthday dinner and all left hungry and upset to pay for such. Very popular local Los Feliz restaurant. Authentic, tasty Italian cuisine. Friendly service. A bit noisy, but it was busy. Nice place. Felt authentic. A bit chilly inside. Couldn’t take my jacket off. The food was very good, the service not so much. This is a popular restaurant & they need more wait staff to give everyone reasonable attention. Still, I recommend a visit.